— Diana Vreeland, noted columnist and editor at Harper’s Bazaar and Vogue. The house of D’Oré has been synonymous with high-end fashion in South Africa for over four decades as one of the original tenants of Sandton City (now that must be a LONG time as I remember playing in the Sandton City fountains when I was about 4!). After completing a simple and quick registration process, the world of D’Oré online is yours to explore. 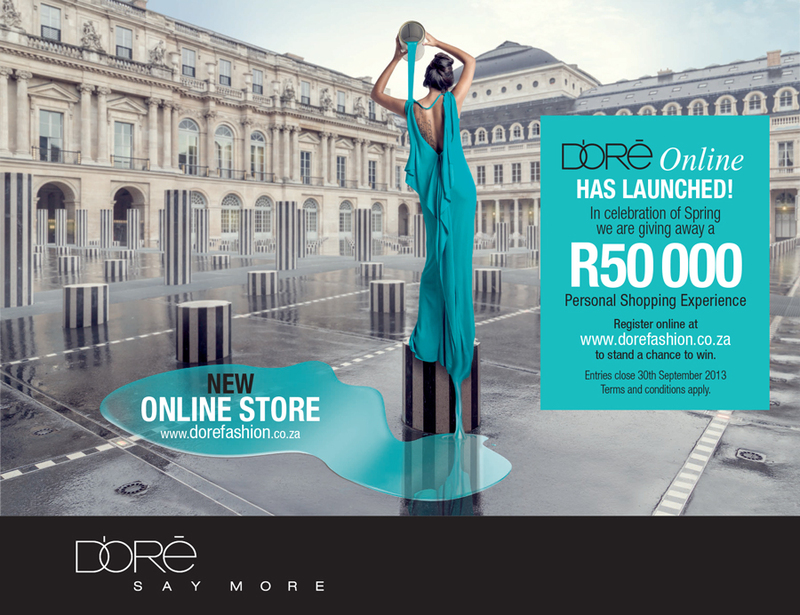 If you register before 30 September 2013, you could win a R50 000 personal shopping experience at the D’Oré store in Sandton City. Ordering online carries other superb benefits: FREE delivery, AND if you buy in excess of R15 000 ONLINE you qualify for a voucher R3000 off next purchase of R10 000 or more. The full catalogue of garments and accessories can be viewed in detail in the E-Store. You an pay via all major credits cards, PayPal or EFT. Your purchases will then be shipped free of charge (score!) to the address provided (locally within three working days and internationally within five working days). Brands stocked by the House of D’Oré include: Escada; Armani Collezioni; Emilio Pucci; Elie Tahari; Vanessa G London; Roberto Quaglia; Preen; Rupert Sanderson; Basler; Laurel; Marc Cain; Kathy Hilton; Jovanni; Tarik Ediz; Elle McPhereson Intimates.